ResistAll is the industry leader in professionally applied RV APPEARANCE PROTECTION products. ResistAll products seal and protect the exterior of your RV with their Beautiseal paint sealant system. Features of this product include sealing and protecting paint from things such as weather induced fading, loss of gloss, oxidation, bird droppings, tree sap, and water etching. Benefits of the paint sealant include no waxing required and ease of cleaning. This protection also extends the life of the interior of your camper by protecting the carpeting and upholstery. If your RV has leather interior keep it looking new with ResistAll’s leather sealant which creates a barrier against stains, protects against premature aging, and helps retain your leathers natural softness.ResistAll is so confident in their products that it's backed with a 5 year warranty. On your next RV purchase remember to have the ResistAll appearance package to keep your camper looking new. Add worry free travel to your RV purchase by adding an EXTENDED SERVICE AGREEMENT by Protective XtraRide. Also an industry leader, XtraRide will extend the length of coverage beyond the manufactures warranty. The XtraRide Service Agreement Program will provide exceptional service and efficient claims handling. 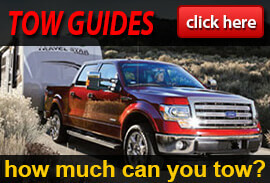 You can also increase the resale value on your RV since the agreement is easily transferable. Other benefits include Platinum coverage, 24 hour technical assistance and road service, towing, service calls, travel expenses, and good in USA and Canada. Deductible options range $50 - $500. ExtraRide is the only service contract Endorsed by the RVDA since 1992. Optional Tire and Wheel Program - provides coverage for the unexpected cost caused by road hazards such as potholes, nails. jagged metals, etc. All benefits are extended to the tow vehicle as well. The following items are covered if caused by a road hazard; flat tire repair, tire replacement, wheel or rim repair or replacement , mounting and balancing, valve stems, and taxes. Get aXtraRide quote today!